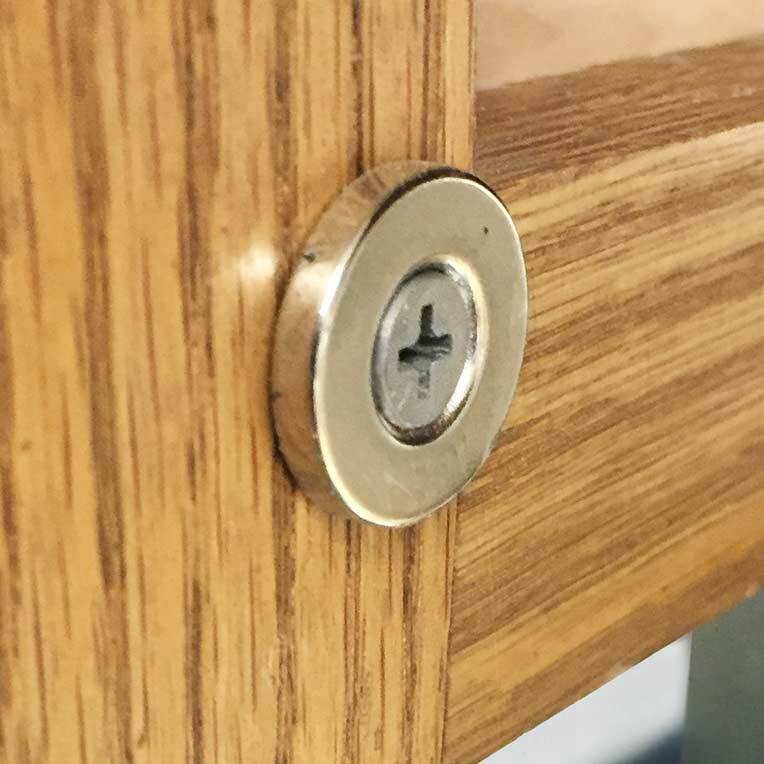 These extremely powerful Rare Earth magnetic latches have a very thin profile. 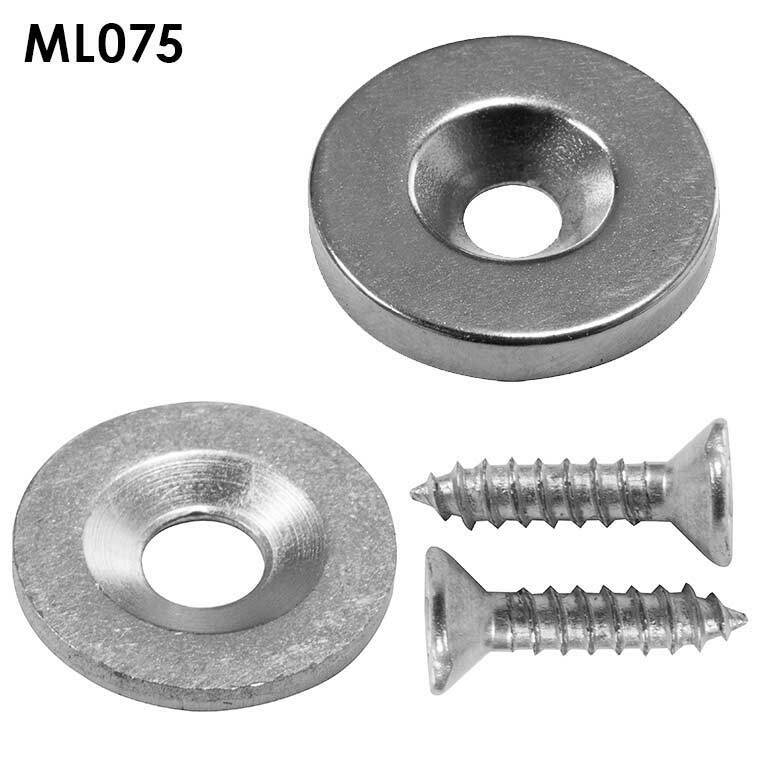 Ideal for door & cabinet applications or for mounting panels, signs, pictures, etc. 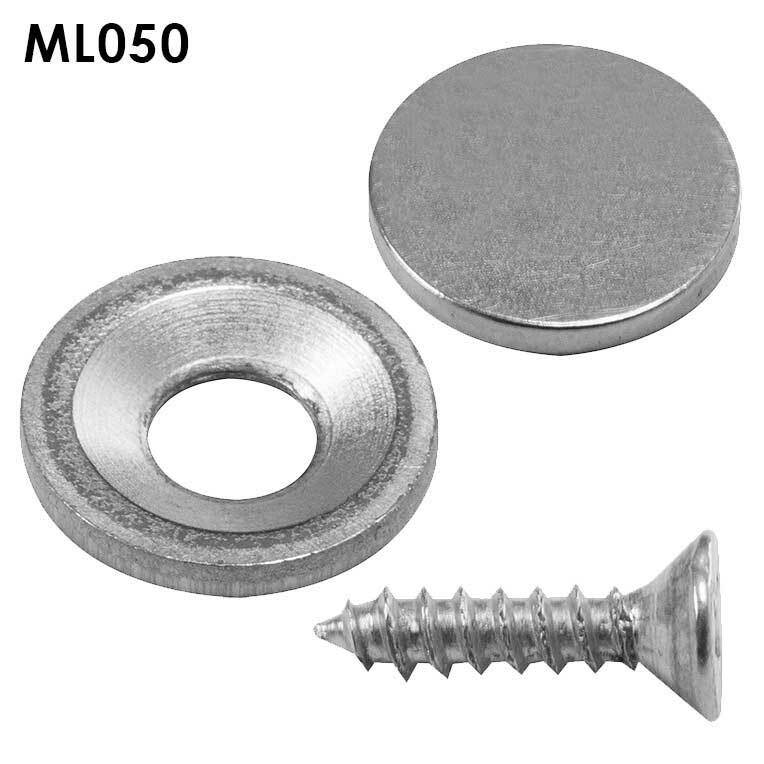 Plated magnet, washers and screws reduce corrosion. 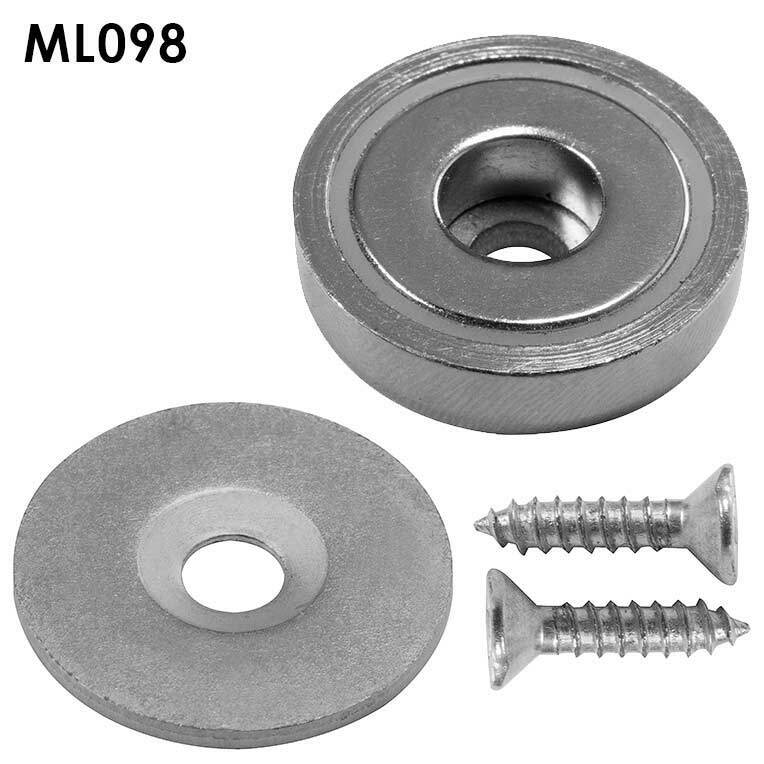 Washers are recessed to allow the screw head to set below the contact area.